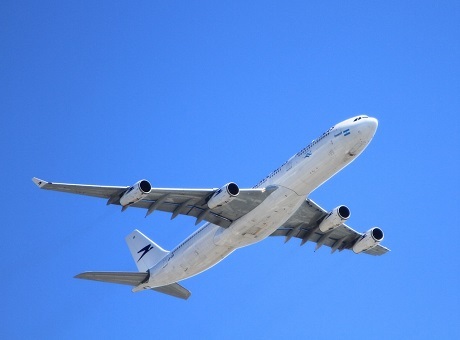 In May, the air transportation group at the UCL Energy Institute, in collaboration with Imperial College London and the University of Southampton, was awarded an EPSRC research grant of around £ 1.5 million to model the various implications of airport capacity expansions. This project undertaking this work is titled Airport Capacity Consequences Leveraging Aviation Integrated Modelling (ACCLAIM). Global air transport grows at around 5% per year, a rate that generally exceeds increases in airport capacity. When deciding about airport capacity expansions, policy makers face a dilemma. Unrestricted capacity growth would impact the population living around airports via increased noise and reduced air quality, and on the wider population via its contribution to climate change. However, restricting capacity growth can have significant national and global implications, including limited growth in air traffic and the economy. The goal of ACCLAIM is to develop rigorous scientific models that simulate passenger and industry behaviour in an integrated way, as well as quantify the economic and environmental implications of the various options. Developing such models is challenging because, while global air travel is expected to grow steadily over the next few decades, significant changes are expected in the global distribution and structure of traffic, with the expansion of emerging market economies and the development of new business models (e.g., alliances, low-cost long-haul airlines), marketing strategies (e.g., loyalty programs) and new technology (e.g., very long-range aircraft that will allow passengers to bypass intercontinental hubs). Furthermore, there is a high degree of uncertainty in the drivers of this change (e.g., future income and GDP levels, fuel prices), as well as the nature of the change itself. ACCLAIM will build on the existing AIM framework, and add significantly to its capabilities by providing support to the multi-billion pound investment decisions at stake.